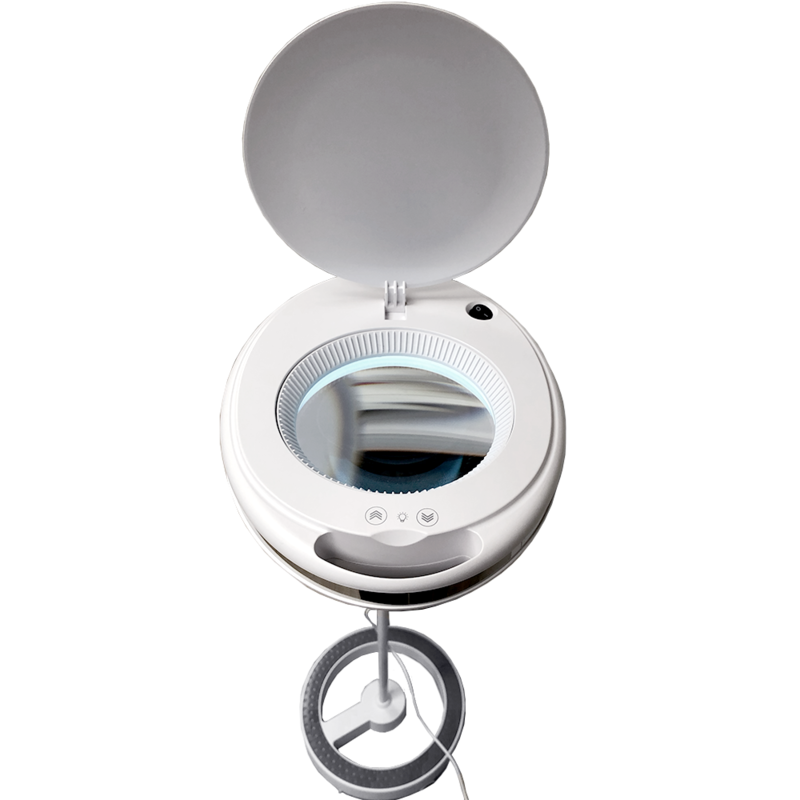 Advanced cool white SMD LED technology with an output of 900 lumens. 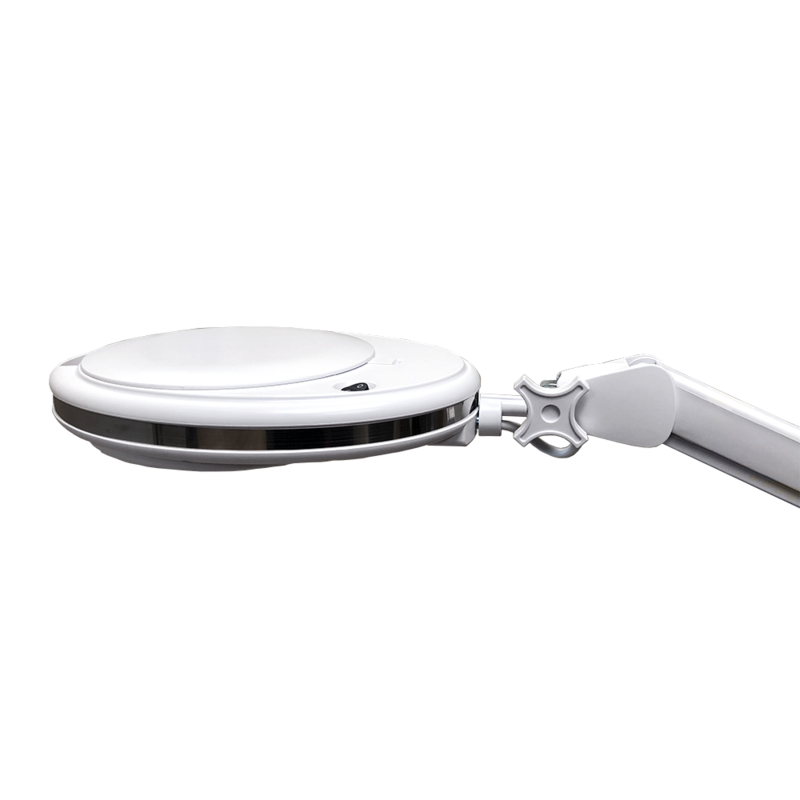 Our LED lighting will last for more than 20 years without burning out or overheating. 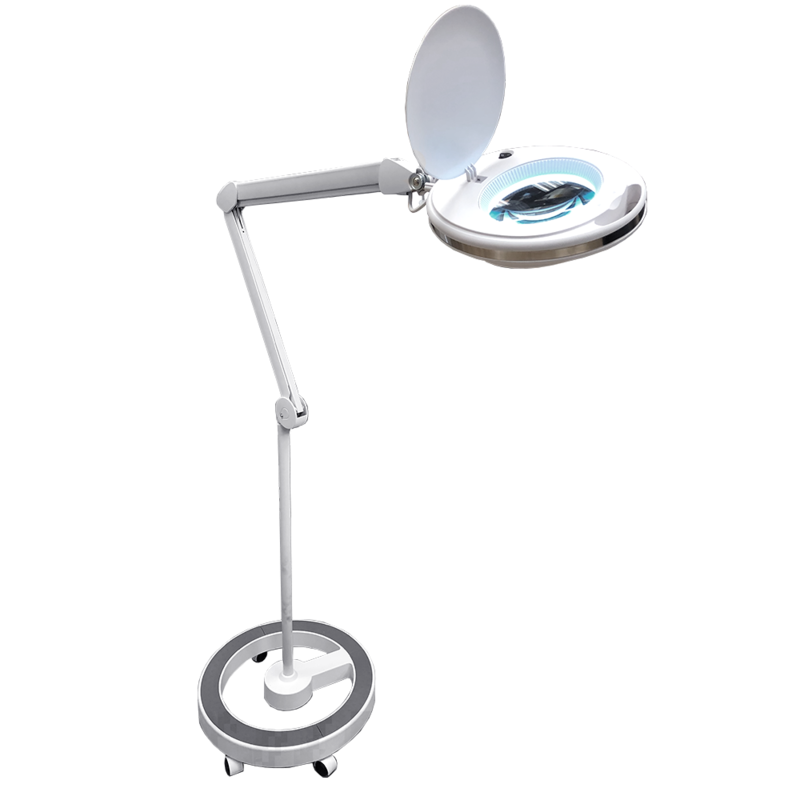 Our LED Magnifying Lamp is perfect for magnifying your work, hobbies, arts & crafts, or reading up to 225%. 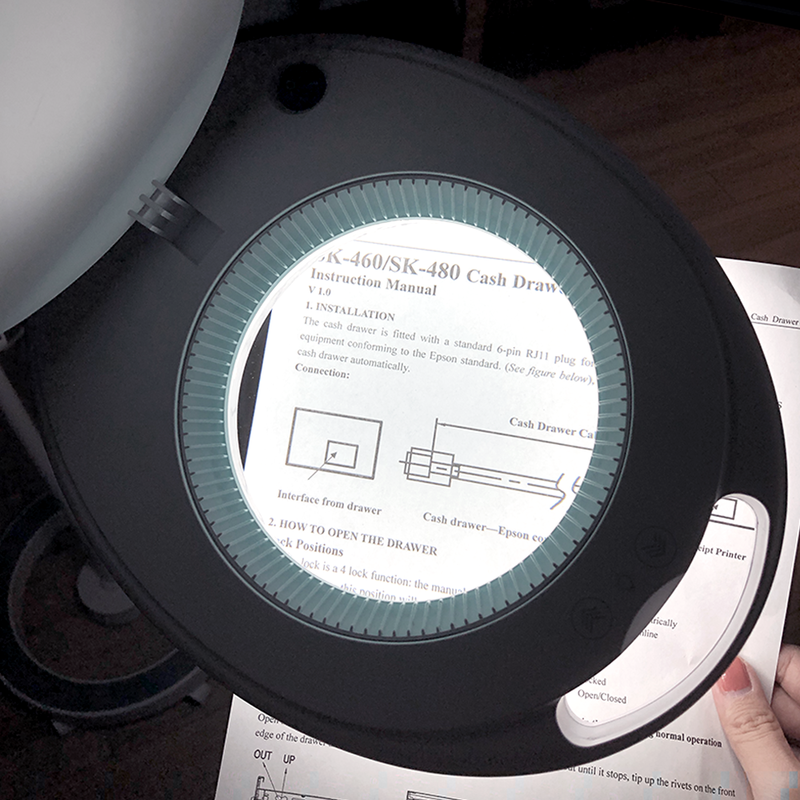 It perfectly illuminates your projects without glare and it stays cool to the touch so that you never burn yourself when adjusting the magnifier or light. The energy saving LED light allows you to keep the light on for hours without running up the electricity bill and you will never have to replace a light bulb. 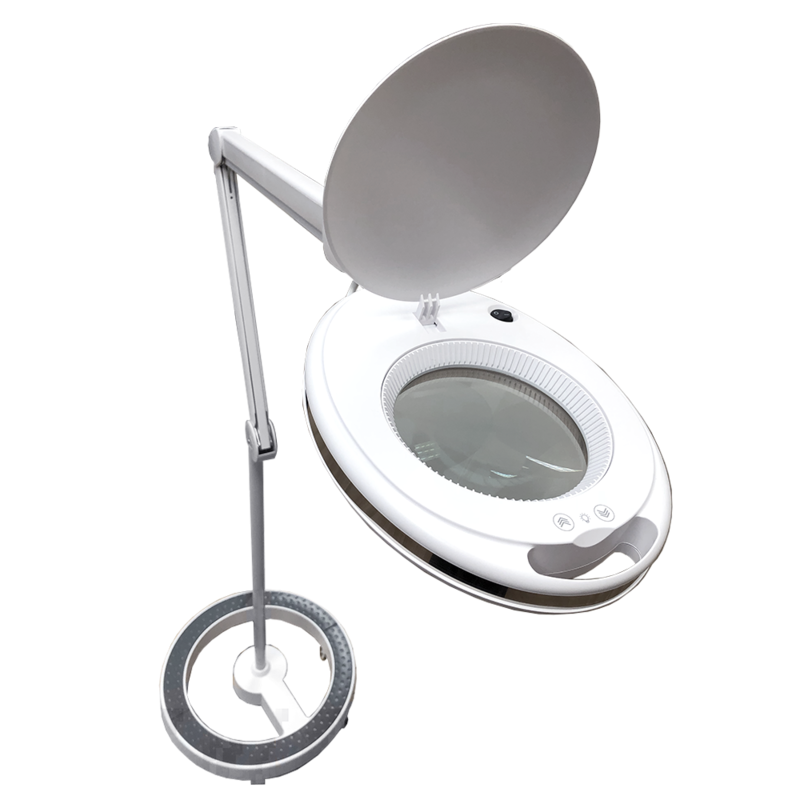 This lamp is portable and perfect for anyone who needs a versatile lamp that they can use for all of their work and hobbies in any environment. 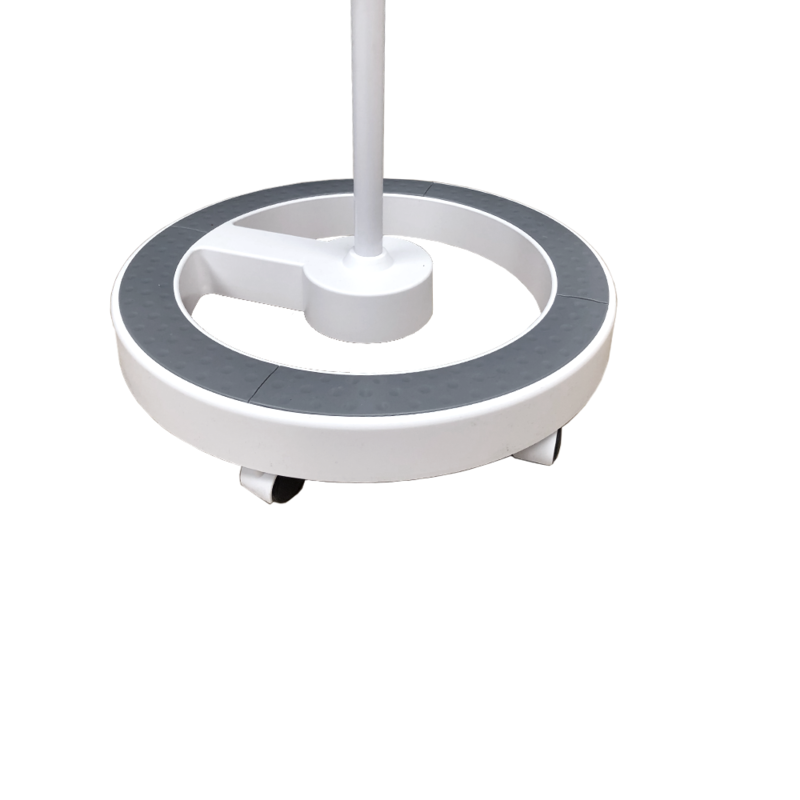 This LED lamp is designed with a heavy duty, stable rolling base that has 6 wheels instead of 4 so that it glides easily over any surface in your home or office and has better stability and balance. 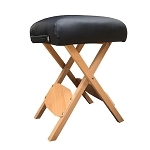 Its adjustable neck and sturdy base enable you to move and position the lamp with ease to the height of your choosing. 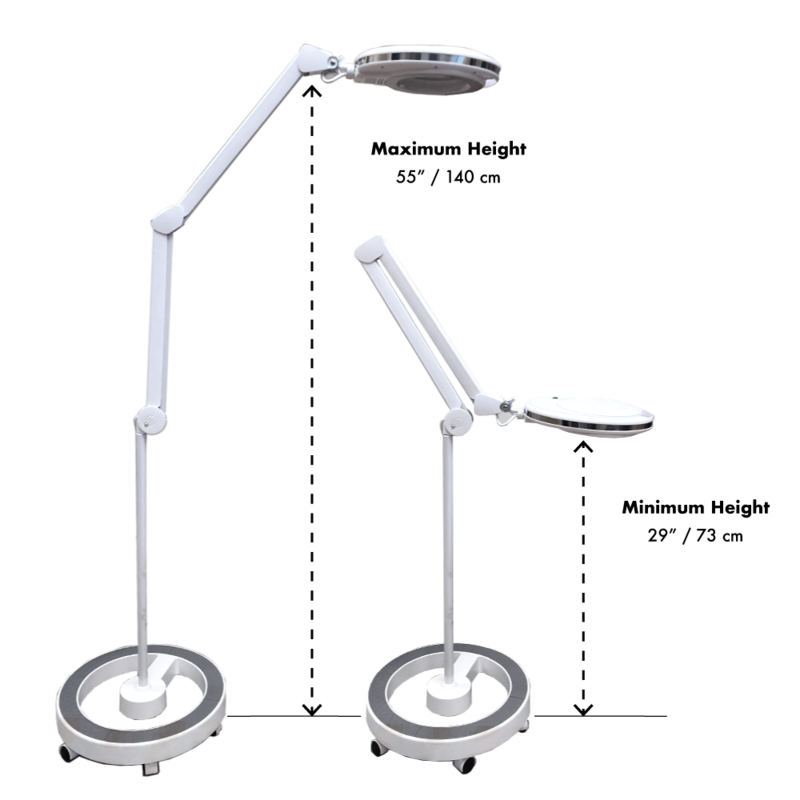 The head of the lamp swivels in any direction making it easy to position the light and magnifier perfectly. 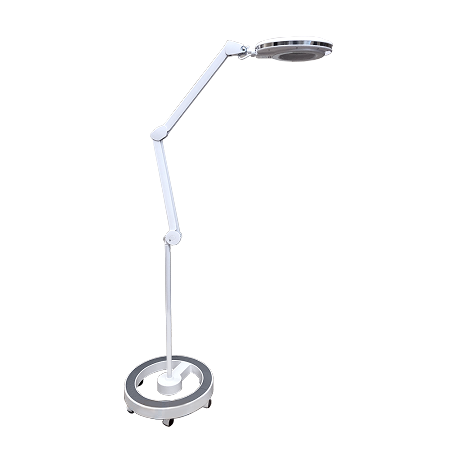 The height of this magnifier floor lamp can be modified up to 55 inches and as low as 24 inches over a bed or chair. 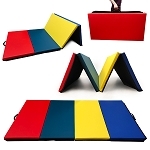 This lamp is perfect for reading, crossword puzzles, needlework, knitting, crocheting, cross stitch, beading, arts, crafts, repairing electronics, woodwork, jewelry making, or professional use.